(From Left) Managing Director for Restaurants of Jamaica, Mark Myers along side, Member of Parliament for East Rural St. Andrew, Juliet Holness , Minister of Industries, Commerce, Agriculture and Fisheries, Audley Shaw and Tina Matalon, Marketing Director for Restaurants of Jamaica. 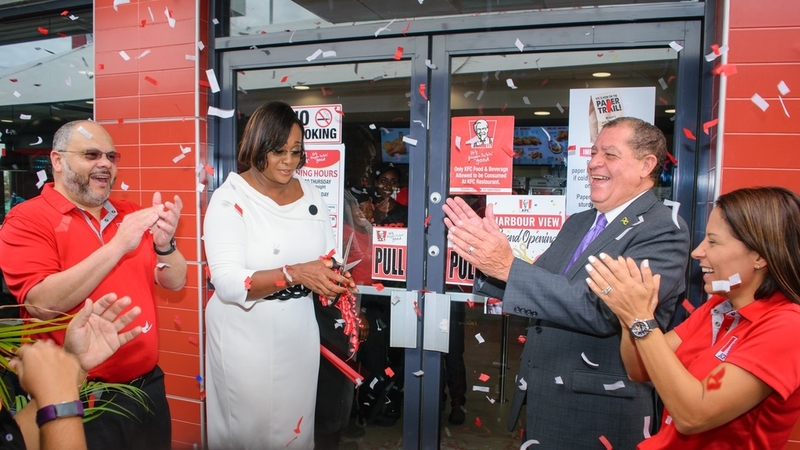 Restaurants of Jamaica has invested approximately $200 million in its newest KFC location in Harbour View, St Andrew, creating 55 new jobs for citizens in the area and surrounding communities. 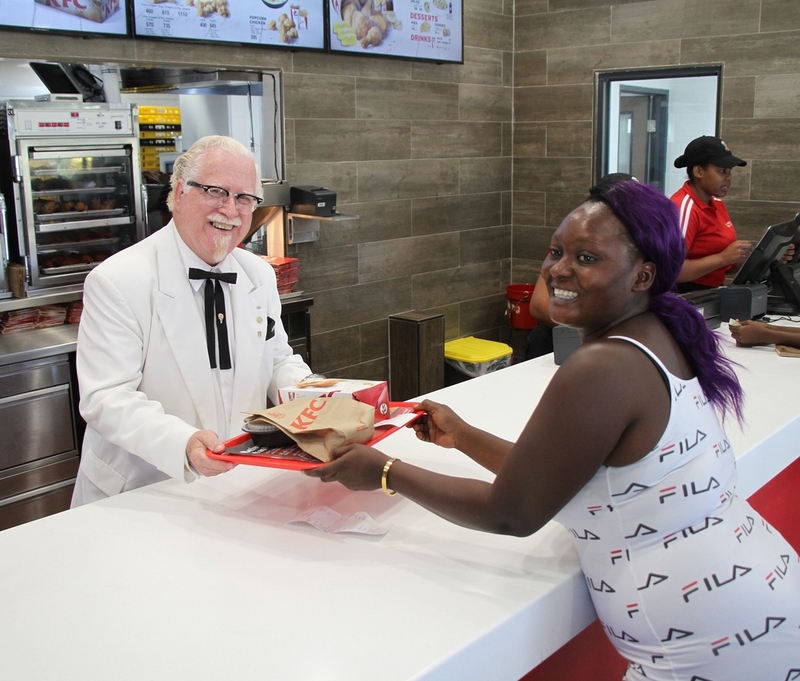 The new KFC location will also appeal to overseas travellers with its proximity to the Norman Manley International Airport. 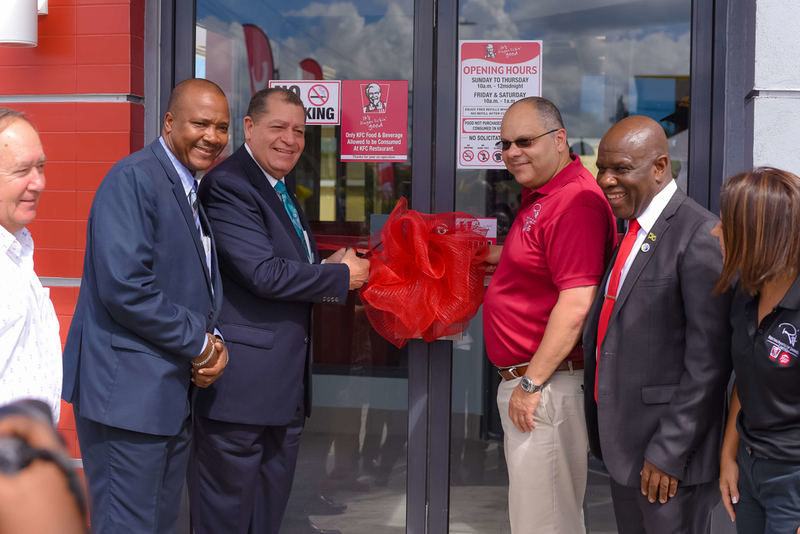 It is the second of four KFC restaurants being opened as part of KFC’s 2020 expansion plans, following on the heels of the KFC Falmouth location which opened its doors in December last year to an overwhelming response. Ground has already been broken in May Pen where KFC’s second location will be planted. Managing Director of Restaurants of Jamaica, Mark Myers spoke to the positive response to the new location thus far, as well as ROJ’s business expansion strategy in his greetings at the official opening last Saturday. “We are delighted to have brought the KFC brand to the Harbour View community and we have been grateful and humbled by the response so far. We are excited for what lies ahead as we continue to be in growth mode, expand our business, create additional employment and build stronger, deeper ties in the communities we serve,” Myers said. Myers further affirmed ROJ’s commitment to helping to boost economic activity in Harbour View and supporting the community through various philanthropic efforts. KFC’s relationship with Harbour View dates back to 2003 when they opened the first of what would later be 14 KFC Homework Centres and “Chicky” Reading Rooms Centres Island wide, at the Harbour View Branch Library. “Now that KFC is officially a part of the Harbour View family, it gives us an even greater opportunity to partner with members of this community who are making a positive impact and help make an even bigger and more lasting contribution,” assured Myers. 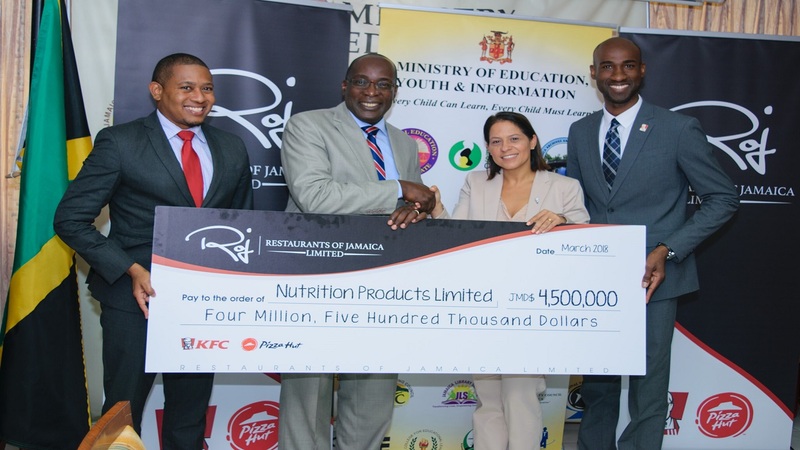 He also added that ROJ plans to expand the company’s “Add Hope” feeding platform - which began in 2018 with their support of the National Primary and Basic School Feeding Programme - into restaurant communities across Jamaica, as the company does its part to reduce hunger in Jamaica. Member of Parliament for East Rural St. Andrew, Juliet Holness gave her praises to the Franchise for their goodwill. “The number of locations you have spreading across Jamaica have contributed to what we think is important, growing the economy. KFC has managed to maintain their quality throughout the years; they have done so while responding to the needs of the community through numerous projects which have aided in the betterment of the country. We are glad you are here,” commented Holness.